No Hidden Fees. No Extras. For More Info - Call 1300 761 930. 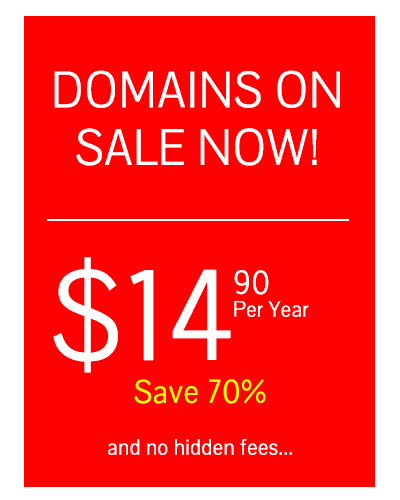 Get Started by securing your domain NOW! Check out our Website Hosting Packages - 100% Australian Servers and Support. Loads & Loads of extras and from $4.95 per month! Head over and checkout the packages, to order your hosting and domain in the same process.